These partners are certifiably awesome and get an overwhelming thumbs up from thera-LINK. Check out their sites by clicking on their logo to learn more about who they are and what they are up to. Psst… some of our partners offer exclusive discounts to thera-LINK customers! Brighter Vision is a turnkey website solution designed to help health professionals attract more clients and thrive on the web. And unlike other companies, they don’t just give you a template and send you on your merry way. When you become part of the Brighter Vision family, they custom build you a website on one of our frameworks, adding your unique colors, fonts, textures and images to make it 100% unique to your practice. Get TWO Months FREE With Coupon Code: THERALINK or click their logo on the right. DefiniPoint, a suite of online ADHD assessment tools, helps clinicians obtain behavioral information from multiple individuals a part of a best practice ADHD evaluation and on an ongoing basis to gauge treatment efficacy. DefiniPoint includes ADHD rating scales, functional impairment instruments and treatment monitoring tools. To learn more and see first-hand how DefiniPoint can benefit your practice, visit DefiniPoint.com and use the promo code “theralink” to receive 90 days of free unlimited use. Hushmail offers Healthcare providers secure e-mail plus forms for your website! Check them out and get a special monthly offer for being part of thera-LINK. Use Hushmail with confidence, knowing you can encrypt emails containing personal health information and meet your HIPAA requirements. 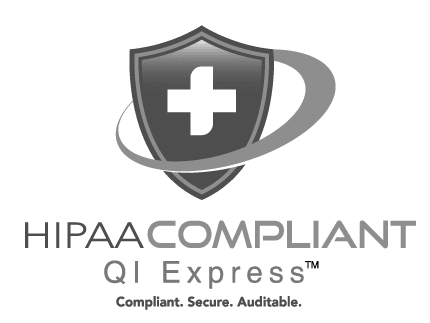 Get HIPAA compliant e-mail for only $8.49/month using our link! The National Register of Health Service Psychologists is the largest credentialing organization for psychologists. Founded in 1974, the National Register identifies qualified health service psychologists (HSPs) and provides a variety of benefits including licensure mobility. The National Register currently credentials more than 10,000 health service psychologists and has banked credentials on behalf of more than 2,500 psychology doctoral students and postdoctoral trainees. Let’s face it, building and growing your dream practice is difficult! Paperwork is another expense on the long list of to dos. Having the proper paperwork is essential to avoid legal issues. Knowing you need legal and ethical paperwork is overwhelming, time consuming and expensive! We’re clinicians, not lawyers. Kate and Katie have spent over 100+ hours studying the laws, rules and ethics and paid thousands of dollars in attorney fees so you don’t have to. Grab your Customizable, Attorney Approved Private Practice Forms Today! CLICK HERE and grab your FREE HIPAA form. TeleBehavioral Health is an esteemed organization that offers training, webinars, seminars, consultations, and resources for mental health professionals to take their practice online. TBHI is a great partner of ours as we’ve personally worked with Dr. Marlene Maheu and trust that she will take excellent care of your training needs. Click on the TMHI logo to receive 10% off your next training session or course! The Zur Institute provides innovative and challenging continuing education for psychologists, social workers, marriage and family therapists, counselors, nurses and other health care providers. The Zur Institute is offering thera-LINK customers a discount code, TL88, good for a 10% discount on not only the TeleMental Health courses and certificate program, but on all of their 140+ online courses at http://www.zurinstitute.com/homeonlinealpha.html and all private practice materials at http://www.zurinstitute.com/catalog.html. They have a program Certificate Program in TeleMental Health & Digital Ethics, which we believe is perfect for our customers! Enter the promotion code (TL88) when asked for during the registration process, and a 10% discount will be calculated into the total.